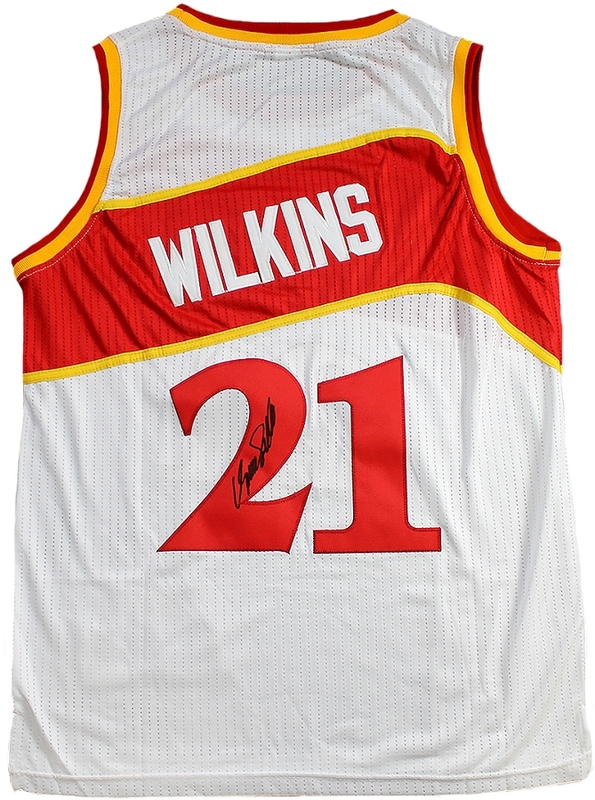 This Atlanta Hawks Adidas Hardwood Classics jersey has been personally hand signed by Dominique Wilkins. Each autographed jersey includes an individually numbered, tamper-evident TRISTAR Authentic hologram, which can be verified online at www.tristarauthentic.com. Dominique Wilkins was a superstar Forward for the Atlanta Hawks from 1982 to 1994. Being one of the best dunkers in NBA history earned him the nickname “The Human Highlight Film”. The 9-time All Star was a winner of two NBA slam dunk contests, and is the Hawks all-time leading scorer. During his NBA career, he registered 26,668 points and 7,169 rebounds. The Atlanta Hawks retired his jersey #21 in 2001, and he has served as the Hawks’ Vice President of Basketball since 2004. Wilkins was enshrined into the Basketball Hall of Fame in 2006.